The JPGS-6 model is our dial-adjustable small bore design intended facilitate easy transitioning between suppressed and unsuppressed fire on large-frame rifles. Rather than using a continuously adjustable screw like our other gas blocks, the JPGS-6 has three discrete valve openings that are tuned to a particular rifle and ammunition at installation. Some gunsmithing experience is strongly recommended for this component. Read more by clicking the link below to review the instructions. Note that this gas block comes pre-installed with a specialized gas tube. Select your desired length above. 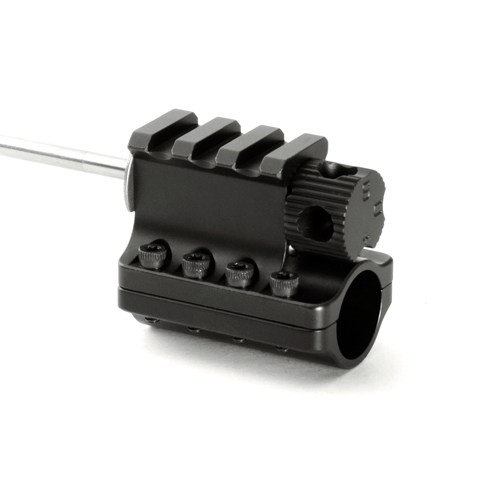 Compatible with large-frame (.308) receivers only.